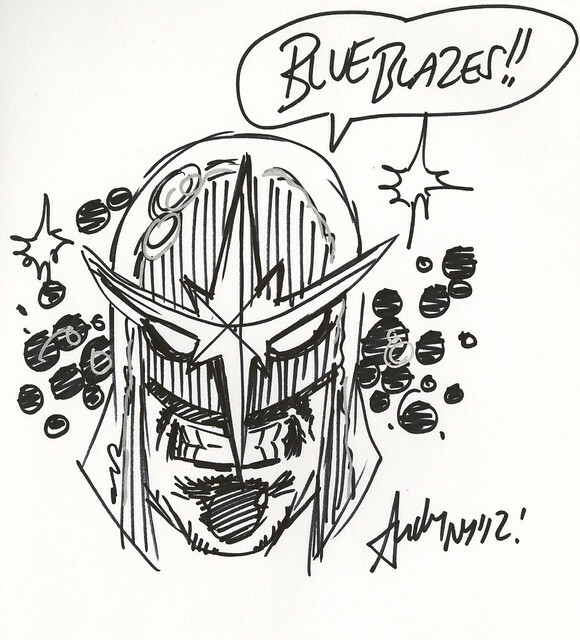 More fun from my New York Comic Con 2012 sketchbook! 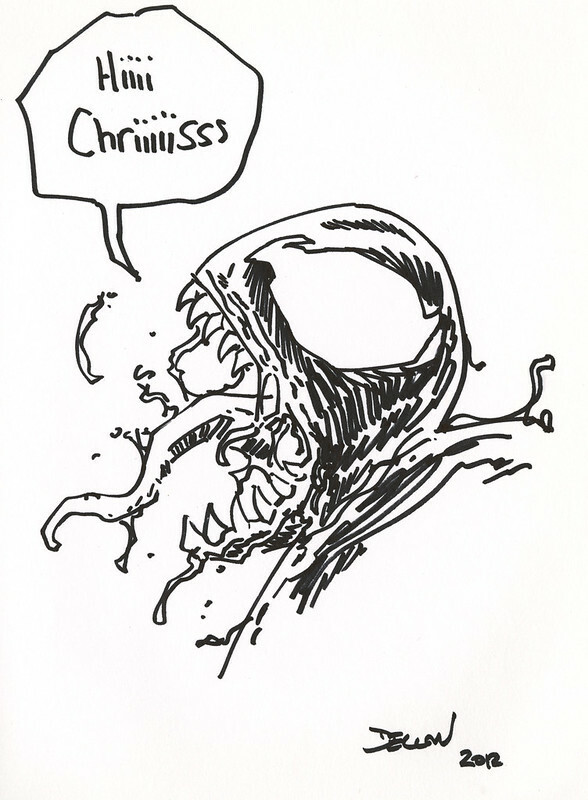 I got this awesome sketch of Venom from Declan Shelvey! The Irish artist is super awesome and I had a discussion with him about the city of Philadelphia, the setting of his Venom series! You can check out more fun stuff from Declan at his blog. 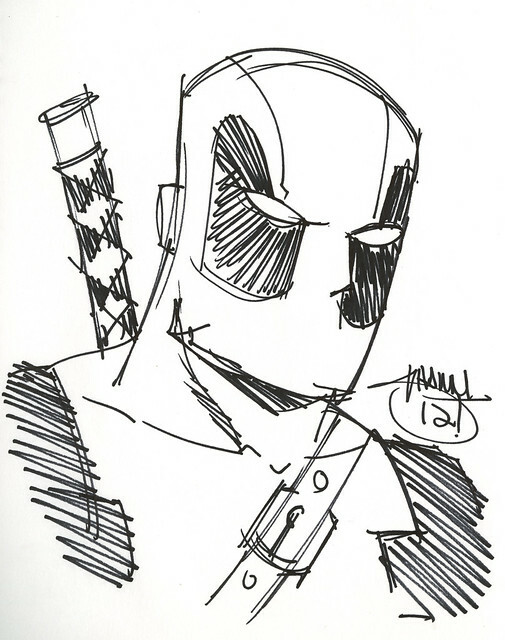 I was also able to get this awesome sketch of Deadpool by Shawn Crystal, book-ending the awesome Cable one that I got from Reilly Brown. He’s a great artist and you should check out his DeviantArt ASAP. One of the best things I read in 2012 was Mark Waid’s Daredevil. Not only was it well written, but the art was amazing and you can thank Paolo Rivera for a lot of that. You can check out more of Paolo’s work here. I’m on vacation this week so we’ll be posting some quick stuff, mostly sketches I picked up at New York Comic Con 2012 starting with this one of Cable by Reilly Brown. 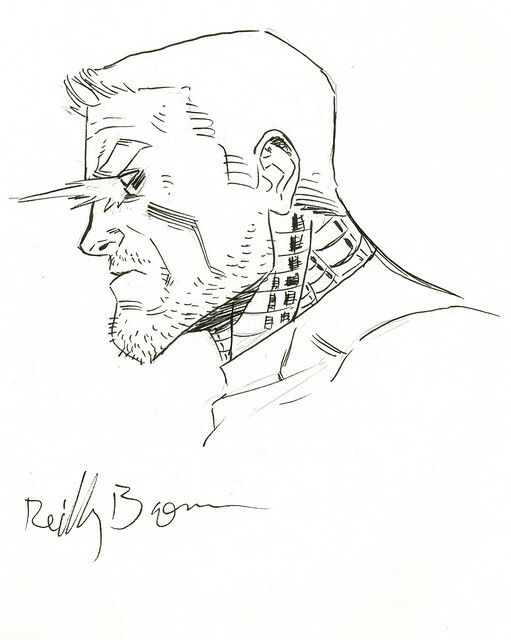 Reilly is an awesome artist and I really loved his work on the Cable and Deadpool series. 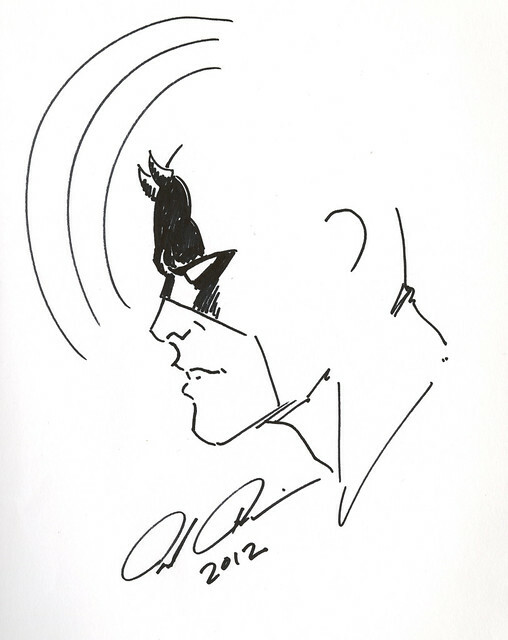 That said, getting a sketch of Cable from him made me super excited. You can catch up on his current projects on his Tumblr. You should also check out his own project Power Play which I highly recommend. If you live near New York City and you are a comic fan, make sure you visit the Museum of Comics and Cartoon Art, located at 594 Broadway, Suite 401. More commonly known by its acronym MoCCA, this gallery space features rotatin exhibits of comic and cartoon art. The first time I went there was during the summer of 2009. Knowing how much I loved Batman: Year One and Daredevil: Born Again, my girlfriend put together a lovely day in Manhattan to check out MoCCA’s David Mazzucchelli exhibit. It consisted of the original art from those two mentioned books, plus pages from the then-recently released graphic novel Asterios Polyp. To say I was in my fanboy glory would be an understatement. Curently, MoCCA is featuring an exhibit of Will Eisner art, showing everything from his career, from the Spirit to A Contract With God. It also features art from his contemporaries and the modern era that show his impact on visual storytelling. I saw it a few weeks ago, and its highly reccommended. The exhibit runs through August 11. 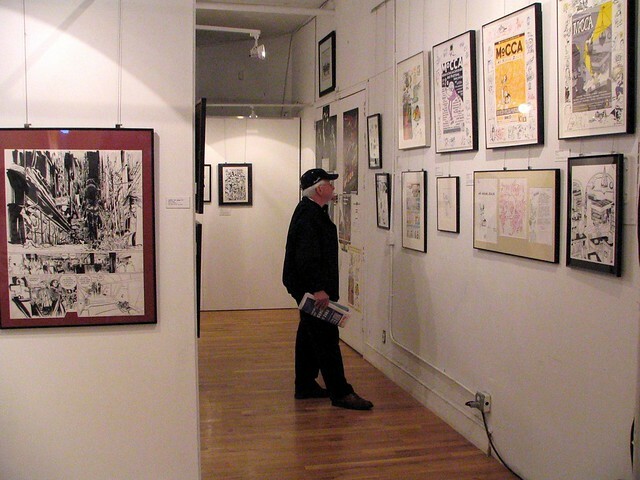 Aside from the gallery, MoCCA regularly hosts workshops and discussions about comic art as well as its annual festival. Admission to these events are always reasonably priced, and are even cheaper if you become a member. For more information about MoCCA, go here.